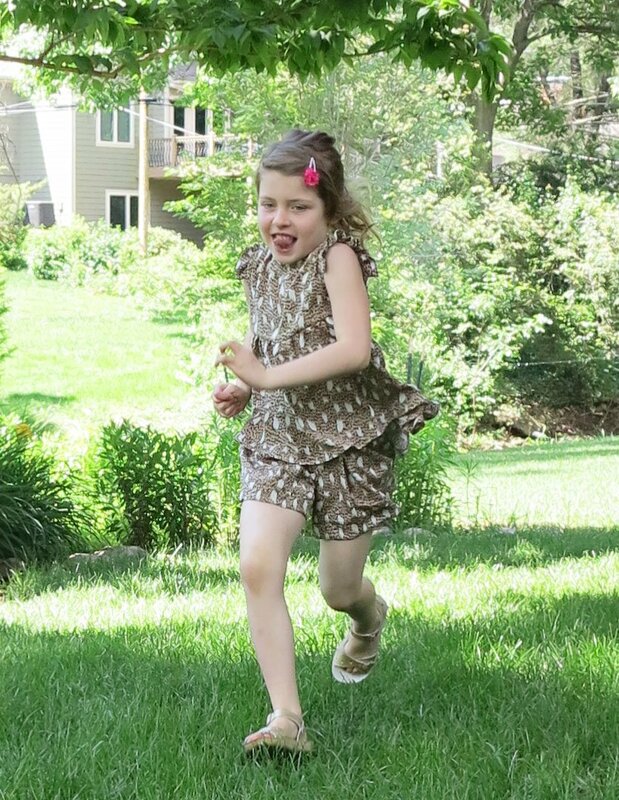 A few months ago, Miss Five fell in love with a Cheetah print silk swatch that I’d ordered from Mood Fabrics. It wasn’t in my plans to purchase fabric for my daughter, let alone silk. 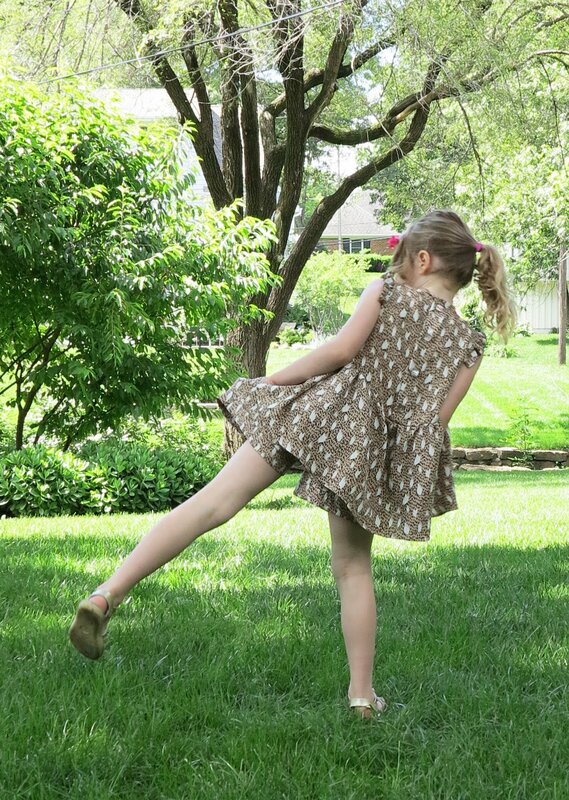 I prefer to use up all my (albeit lovely and sometimes silk) scraps on the clothes I make for my girls. It’s the way I offset the cost of my wardrobe. So I purchased two yards of this silk. The shock. But then shortly after, I saw this RTW skirt that retails for $78. The even bigger shock. I pinned it because I like the simple design. Then a few days later I saw that True Bias had put together a tutorial on making an almost identical looking skirt. Score! Check it out here. I know I am a little out of touch with RTW prices (Target is my go-to and I really only shop there for emergency kidswear these days) so price of this skirt floored me a little. Or perhaps it enabled me. And this is what it enabled: a cheetah two-piece set-acular. It’s probably a $45 dollar outfit for a kid (outrageous, I know!). But my goodness it’s cute. 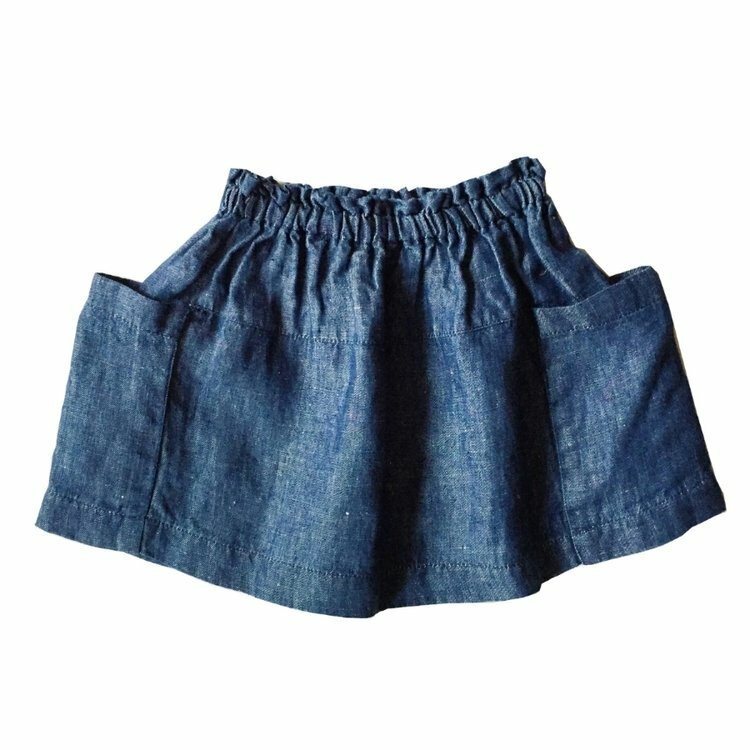 It’s hard to see the details of the shorts under the top, but they are made to the same pattern as these, with little side pockets and a botton hem band. And just so you know, cheetahs run very, very fast! I will confess that it wasn’t all about Miss Five with these makes. I wanted to test the shorts pattern in a slinky woven. The top is another pattern that I’m working on, but have sewn enough times already to know that it would work beautifully with this fabric. I also took my time deciding what to sew with this silk. It’s a beautiful print, but I wasn’t quite sure a playsuit (as was requested) would get enough wear due to the toileting aspect. I thought a two piece set would be the best value but it could have easily turned into a tacky animal print overdose. I think I hit the target with this one, even if I do say so myself. This entry was posted in animal print, crepe de chine, Lily Sage & Co patterns, pants, playsuit, romper, shorts, silk, top and tagged animal print, cheetah, crepe de chine, Mood fabrics, silk on June 5, 2015 by Debbie Iles. This is a spectacular set-actular! I love the shape of the little top in particular. Thanks Jillian! I love watching her swish around in this one. My costume deflection was such a success that she’s now requested a “giraffe” outfit too. Not sure I’ve seen many giraffe prints out there…. Love the top – gorgeous shape! That top is an awesome pattern! I love the frill sleeves.